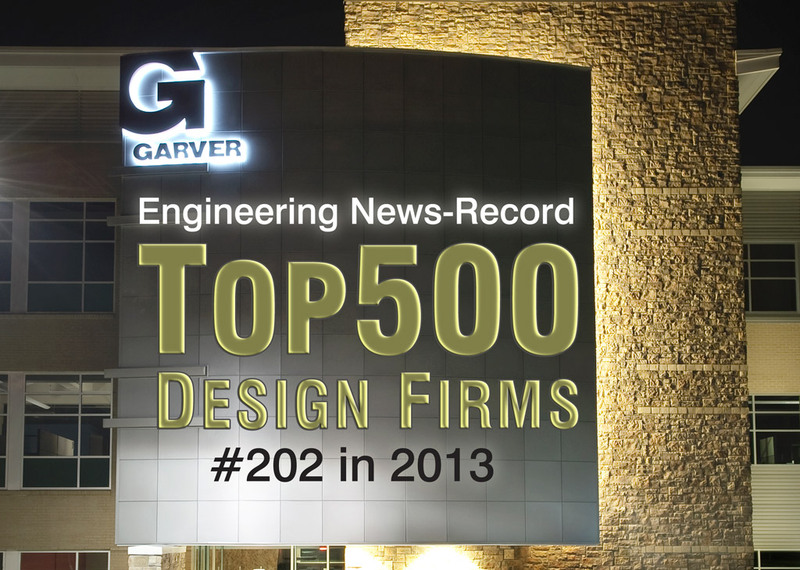 Garver moved up 24 spots on Engineering News-Record's annual list of the Top 500 Design Firms nationwide. The publication ranks companies on the list according to revenue for design services performed in 2012. Garver is listed #202, up from #226 last year, and its highest ranking to date. Based on Top 500 survey information, ENR reported a number of findings regarding industry markets and trends in 2012. The Top 500 had overall domestic and international design revenue of $90.24 billion in 2012. This is up 6.1% from 2011. The Top 500 experienced a 5.5% gain in revenue earned from domestic projects, which was $61.86 billion. The largest domestic public infrastructure market was transportation, which rose 3.1%, to $13.42 billion in 2012. However, the water market was down 0.1%, and sewer and wastewater was down 0.7%. There were 465 design firms on this year's Top 500 that also sent in surveys last year. Of that number, 69.5% experienced increasing revenues from 2011 to 2012, while 29.9% had declining revenues. 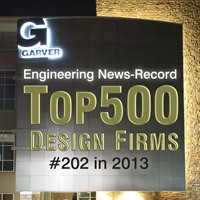 Seven design firms that made the 2012 list were acquired by other firms last year.